It’s spring, and time to get out in the garden. If you one of the many American’s who have a chronic pain condition, you may worry that your pain-free gardening days are over, but they don’t have to be. 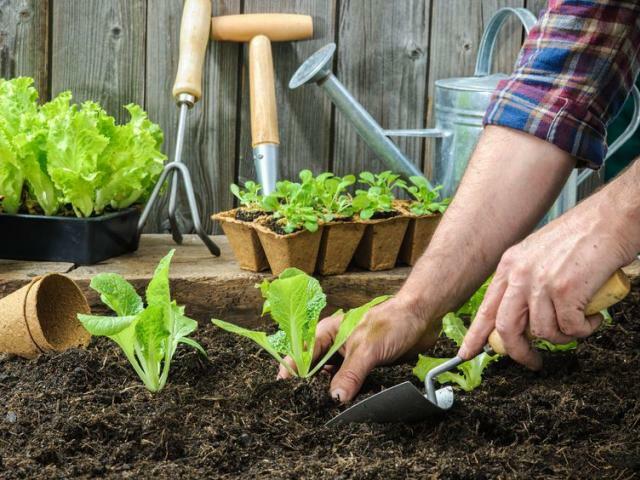 With a few changes to your routine, you can continue gardening without increasing your pain. If your garden is already growing and established this year, please remember these tips when planning your garden for next year. All of the ideas listed in this article are contingent on your budget and space, but if you can implement a few of these ideas this year, then a few more next year, you can slowly make your garden accessible and easier to maintain. Think about what you can do (without causing yourself more pain), and what tasks are hard or painful to do. Can you eliminate or modify the tasks that are painful? Can you ask someone to help, or do those tasks for you? Can you change your work practice so you only have to do the difficult tasks once, or rarely? When planning to work in the garden, prioritize your tasks. Do the hardest or most strenuous work first, then do the easier tasks. If you are not sure how long you’ll be able to work, begin with what is most important, then go to less high priority tasks. Working past the point of exhaustion is just going to make your pain worse, and you could hurt yourself; it’s better to take a few days to work safely and without pain than to push yourself too hard and make your pain worse. Before you begin working in the garden warm up & stretch – gardening is not just hard work, it’s also good exercise. While you are gardening remember to take breaks to rest, relax, and enjoy your garden. Stay hydrated & stay out of the sun! Medication may affect your sensitivity to the sun & heat, and you could become hydrated or sunburnt easily. Try to work in the garden at the beginning and end of the day, to avoid the mid-day heat. If it is difficult to bend or kneel, and reach plants in the ground, consider a raised bed, a container garden, or a wall hanging garden. If you don’t have the option of a raised bed or container garden this year, think about taking a chair or bench into the garden so you can sit instead of kneeling or stooping. When you are done working, you can sit on the bench and enjoy your garden. If you like the idea of a container garden but don’t want to buy containers, look around your home and garden and see what items can be repurposed to serve as containers. Old toolboxes, kitchen gadgets (seizes and colanders), wicker baskets, hats, purses…. Just about anything could be a container garden. Once you have the container, you can put it on a bench, chair, step, ledge, anything that is stable, and raised enough to allow you to access it without kneeling or stooping. Be careful not to put plants to high, as reaching overhead can be painful, and you don’t want the risk of something falling on you if you are struggling to reach it. There are many ergonomic and adaptive tools and techniques that will enhance your gardening experience. Check back next month for an overview of tools, equipment and work tasks that can help. For more information about Ohio AgrAbility visit https://agrability.osu.edu/ or contact Laura Akgerman, Ohio AgrAbility & OSU Extension Disability Services Coordinator, at Akgerman.4@osu.edu, or 614-292-0622.